What Makes a Good Sensory Table? A sensory table must be inviting and keep children’s interest while they are engaging in the materials. These materials can include just about anything you can think of. All developmental areas can be supported through intentional planning and preparation. Learning can be deepened by creating multi-level experiences that challenge and encourage thinking and problem solving. 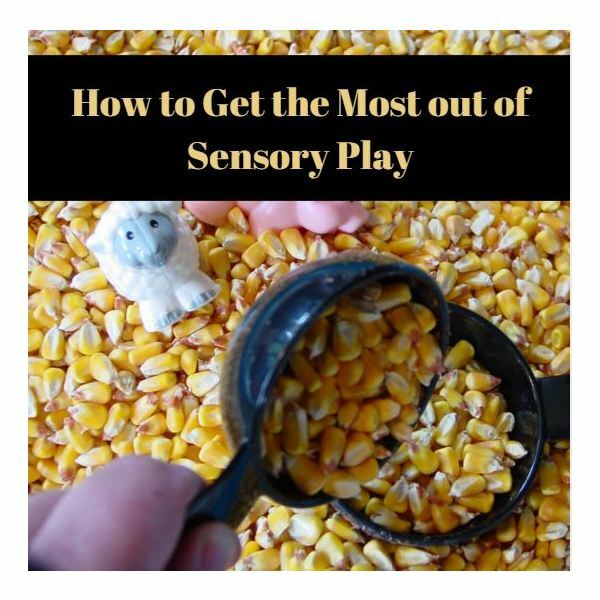 Working next to and interacting with peers during sensory play provides natural opportunities for sharing, turn-taking and joint problem solving. Children share the same materials and space in a way that is mutually beneficial. Observing each other while experimenting with materials gives children new ideas and strategies to try while constructing new knowledge during play. Provide materials that encourage children to work in pairs, such as large buckets or gears that needs two children to work them together. Working together in close proximity encourages verbal interaction between peers. Teachers can support this interaction by describing what is going with thinking-aloud the processes happening during play and exploration. Guide conversations while focusing on introducing new vocabulary related to the sensory materials such as slippery, slimy, crunchy, bumpy and rough. In addition, descriptive words such as hot, cold, heavy and light can be explored. Adding foam letters or laminated word cards is a playful way to incorporate letters and literacy into the center. Exploring differences between materials is a first step to matching and sorting comprehension. Noticing various attributes can be encouraged by providing multiple pieces of fabric of varying colors, textures, shapes and sizes. Adding manipulatives such as small blocks, pompoms, popsicle sticks or beads with small containers will support one-to-one correspondence and counting skills. Sand, birdseed or dry oatmeal with scoops and measuring cups will give children an opportunity to explore volume and quantity (“How many scoops does it take to fill up the cup?”). Driving cars under block bridges or through tubes increases understanding of spatial awareness. Support children’s mathematical learning by providing vocabulary to describe their play (Your road looks like a circle and Johnny’s is straight”). Curiosity, observations, investigations and testing hypotheses: scientific thinking is at work at the sensory table! Children will observe what happens when they manipulate materials and try to understand what happens when they use these materials in different ways. Adding water to dry sand changes the texture and the movement of the sand. Mixing water with soap makes bubbles; mixing it fats will create even more bubbles! The sand pours through the funnel but the beans get stuck. Children will experiment and formulate hypotheses about why things happen. They will draw conclusions and test these ideas out while using simple tools and natural materials such as straw, dirt or seashells. Exploring the different properties of these materials expands children’s understanding of the world around them. Support inquiry-based learning by guiding children’s thinking through questioning and think-alouds (“What do you think will happen if you use a smaller tube for the pebbles to go through?”). Intentional planning and supporting children’s natural curiosity through high quality sensory experiences will support a developmentally appropriate curriculum and provide fun and engaging social, mathematical, language, and scientific learning opportunities. Gainsley, S. (2011). Observing and Supporting the KDIs at the Sand and Water Table. HighScope Extensions. Volume 5, Number 5.